Charcuterie is the branch of cooking devoted to prepared meat products, such as bacon, ham, sausage, terrines, galantines, ballantines, pates, and confit, all primarily from pork. Originally intended as a way to preserve meat before the advent of refrigeration, they are prepared today for their flavors derived from the preservation process. At Intentional Swine, we hone the crafts of whole-animal butchery and hand-crafted charcuterie to create the highest quality specialty meats. The dedication to craft, and the unhurried patience of time results in the most robust flavors and beautiful meats. We specialize in whole muscle cures, such as coppa, paletilla, lomo, and culatello where salt, time and attention to detail are the secret ingredients. 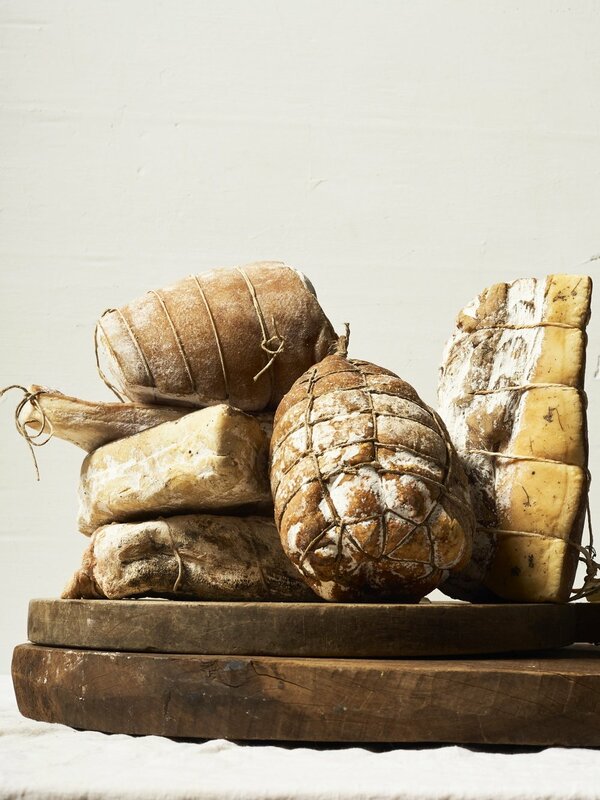 Additionally, we create a rotating assortment of other charcuterie items such as terrines, sausages, pates and more. We work only with farms who raise animals in an ethical and humane manner, without the use of unnecessary antibiotics or growth hormones. We value pasture raised, heritage breed animals who display excellence in breeding and quality. Carolina Heritage Farm, located in the Pee Dee Region of SC, specializing in heritage hogs.